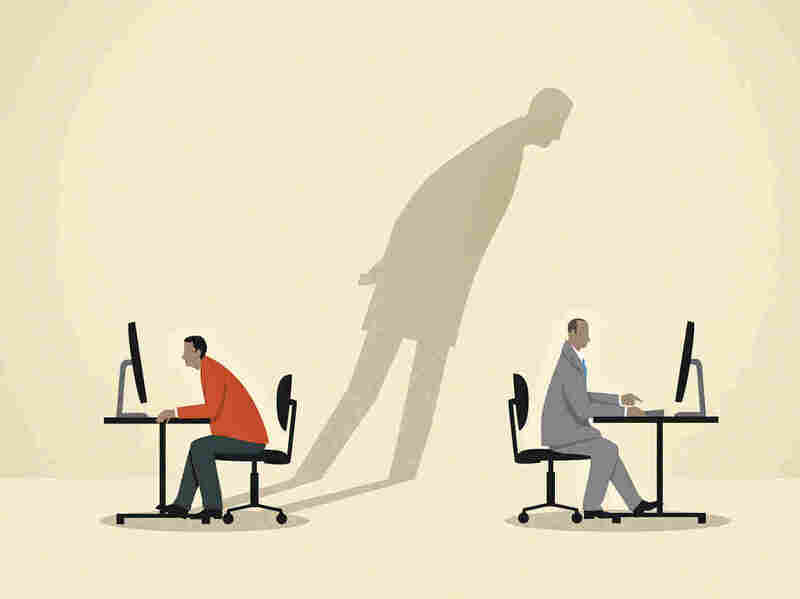 Online Trackers Follow Our Digital Shadow By 'Fingerprinting' Browsers, Devices : All Tech Considered Online tracking is no longer about "cookies." New technology helps trackers link online breadcrumbs — including across devices — through browser settings, battery levels and other details. As we surf from website to website, we are being tracked — that's not news. What is news, revealed in a recent paper by researchers at Princeton University, is that the tracking is no longer just about the "cookies" that record our tastes. The researchers surveyed a million websites and found that state-of-the-art tracking is a lot more sophisticated, allowing websites to track the fingerprints left by our devices. Princeton's Arvind Narayanan and Steven Englehardt studied how all the things we do not see as users are valuable to someone on our digital trail, as our presence may be authenticated and tracked through such minutia as personalized browser settings or even our laptops' battery levels. Fingerprinting "allows a tracker to put an identifier on your entire history of online activity," Narayanan, assistant professor of computer science, tells NPR's Robert Siegel. "They've been collecting those histories, that's not new — that's a given. But what the technological sophistication is for, is for linking all of your online breadcrumbs together, even if you're not necessarily putting your real name or email address into all your online interactions." These fingerprinting techniques are not directly getting at what sort of person you are; they're merely trying to develop some sort of recognizable pseudo identity of you. ... If you have this pseudo identity based on the fingerprint of your device, then what the website is going to be able to do is piece together all of the online breadcrumbs that you've left in different places and compile that into a profile, into a dossier of you. And using that, they can apply algorithms and infer your interests and preferences and so on. Increasingly, people are discovering new uses for all of this online tracking information. For example, there are concerns that political campaigns might be using this data to specifically, individually target political messages to us. To the point where someone else might be getting a slightly different message that is tuned to their tastes or political proclivities or whatever. This has implications for democracy, and we need to have the societal conversation about this.